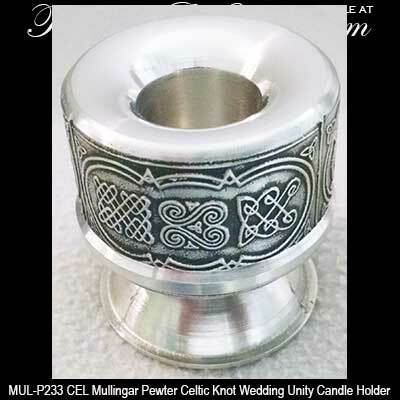 The Celtic pillar candle holder measures 2 3/4" tall x 4" wide. 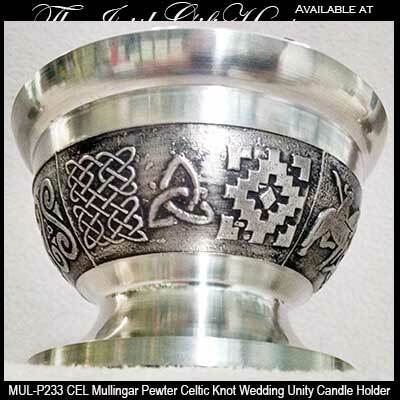 The two Celtic tapper candle holders measure 2 1/8" tall x 2" wide. 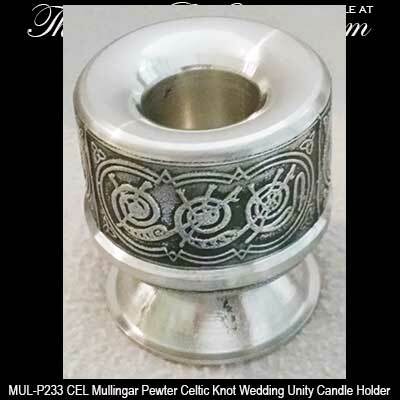 These Celtic candle holders would be ideal as a unity set for your Irish wedding. 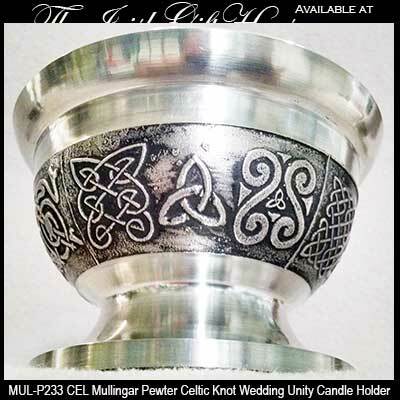 The Irish unity candle holder set features an embossed Celtic motif, that includes the Trinity knot, on each of the pewter pieces. 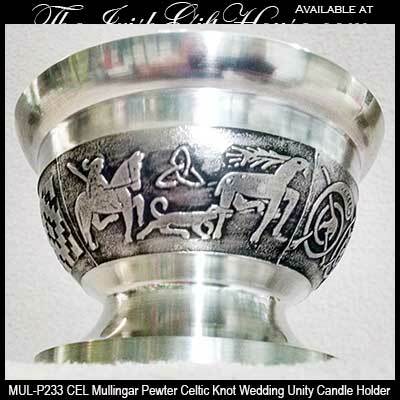 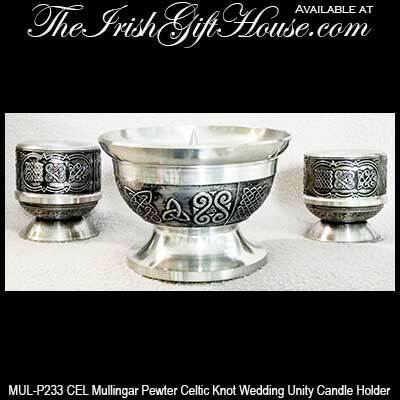 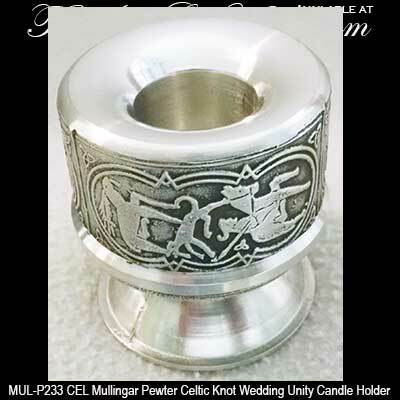 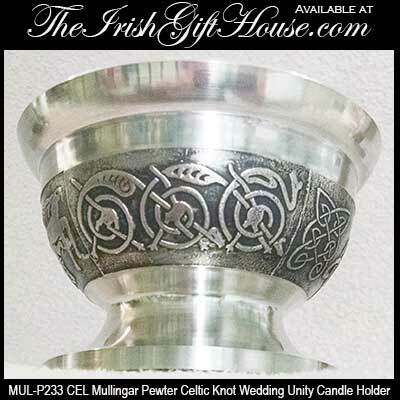 The Celtic wedding candle holder set features a pillar along with two solid tappers that are made in Ireland by Mullingar Pewter. 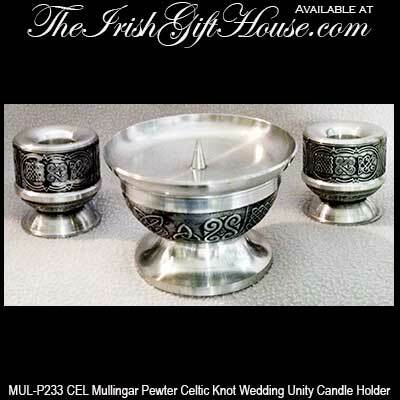 The Irish wedding candle holders are gift boxed with a Celtic knot history card that is complements of The Irish Gift House.